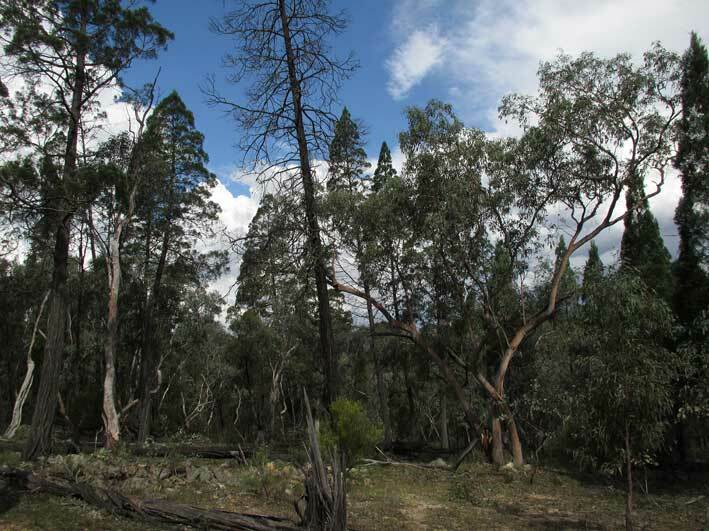 Here are some stereo ambiences from Capertee Valley, New South Wales, recorded with various rigs in 2010, 2011 & 2012. (There are more sounds on my “recording gear” and “wildlife studies” pages). 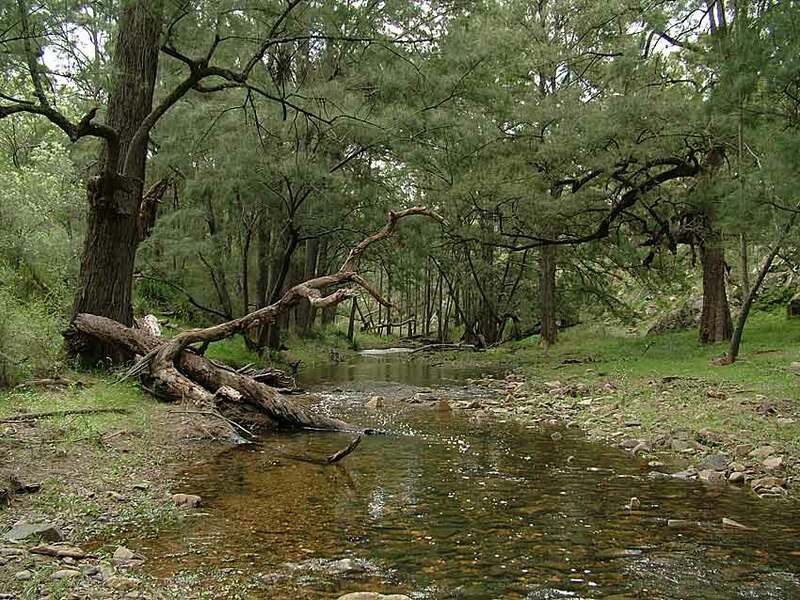 I made this recording in September 2010 (spring in Australia) when Coco Creek was trickling along nicely. 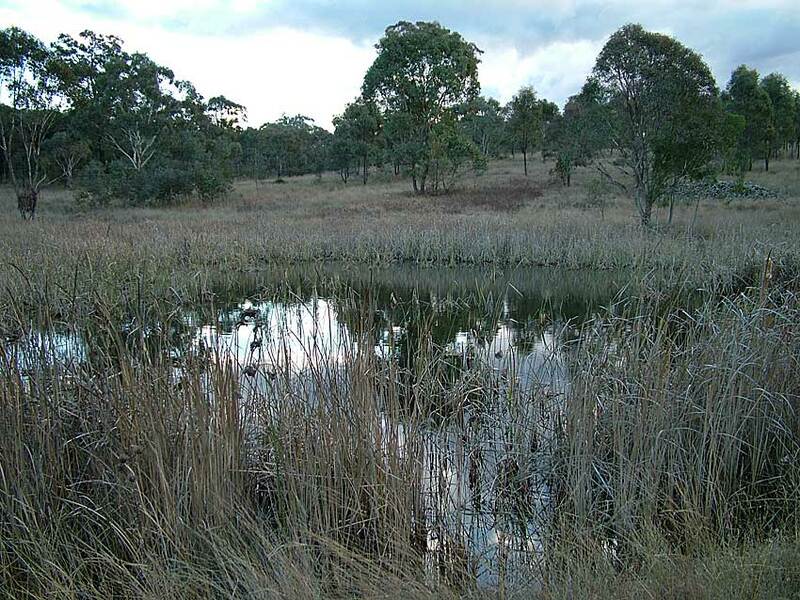 There are Pobblebonk frogs and Fantailed Cuckoos and the sounds of running water, all recorded with my SASS-Lite rig (see ‘recording gear 1’ page), hooked up to Olympus LS10, settings were Low Sensitivity, Volume 10, low cut off. No filtering. AUDIO: EM172s in DIY SASS to Olympus LS10. Creek ambience, 2 minutes, no filtering or EQ. A Wood Duck flew in and landed on this small dam just as I was about to turn off the recorder. Olympus LS10, low sensitivity volume 10, DIY SASS ‘Sass-Lite-Narrow#2’ using twin PIP mic capsules. Tripod. Light breeze. 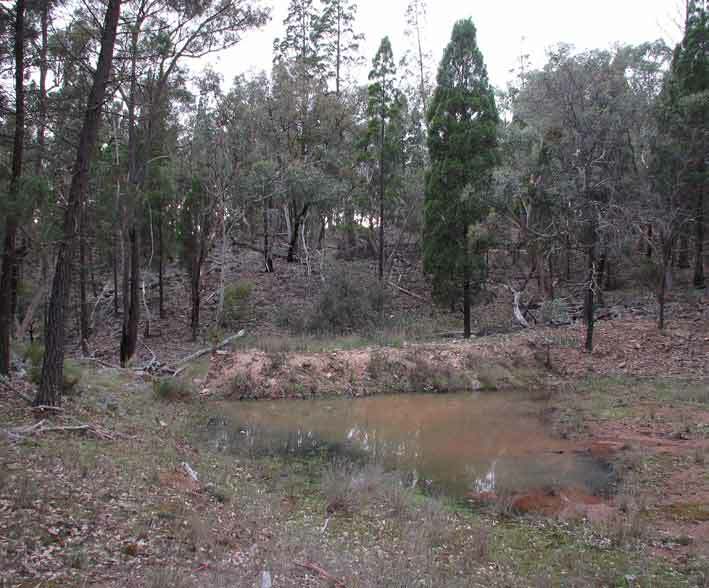 September 2010, Capertee Valley, NSW. AUDIO: EM172s in DIY SASS to Olympus LS10. Duck, 1:12 minutes, no filtering or EQ. A flock of 50-100 Noisy Friarbirds were having a get-together, 30 November 2011, 6.30 am DST. 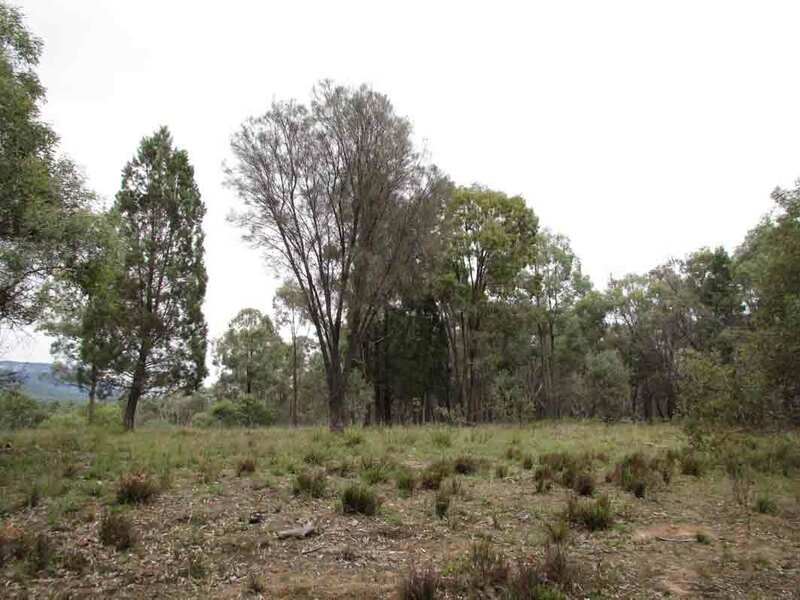 Capertee Valley, NSW, dry woodland habitat, humid and warm and lots of recent rain. After the gossip session the birds flew off as a group, I’ve no idea where they went. Sound Devices 702, 2 x Audio Technica 4022 mics in a DIY foam Olson Wing, tilted slightly forwards. AUDIO: AT 4022s in DIY foam Olson Wing. Friarbirds, 4 minutes, no filtering or EQ. 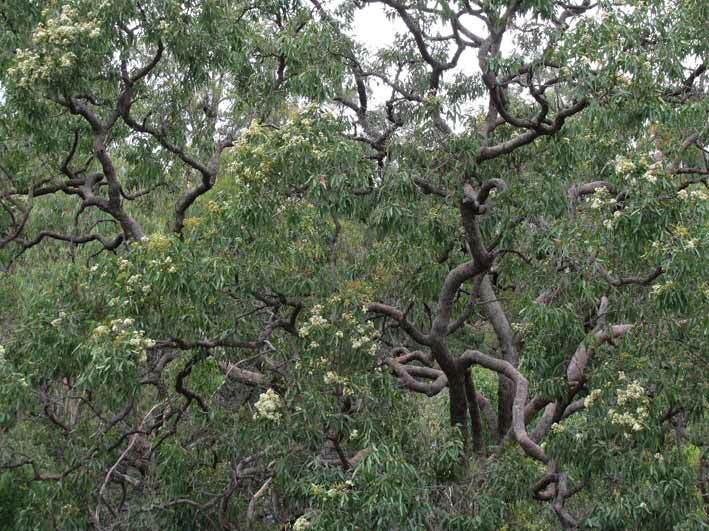 A pair of Noisy Friarbirds were calling and chasing one another in big old angophera trees, Capertee Valley, NSW, recorded with SD702 and Sennheiser 8020 mics x 2 in foam ‘Olson Wing’, recording level set at 57. No EQ or filtering. 1st September, 2011, early morning, cool-mild, probably this pair would have nested in the vicinity. 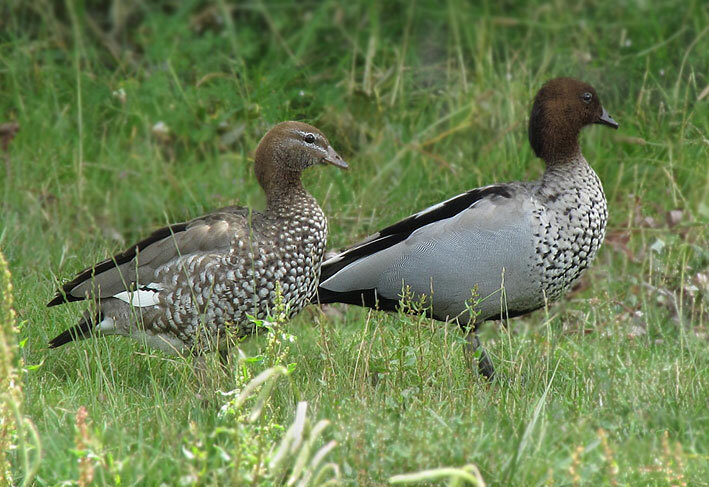 Also heard are White-plumed Honeyeaters and distant Wood Ducks. AUDIO: MKH8020s in foam Olson Wing to SD702, friarbirds, 2:07 minutes, no filtering or EQ. Three species of frogs were all calling together, then all stopping together, on a moonlit night after rain, at a puddle of water in dry woodland habitat, Capertee Valley, NSW, Australia. First you hear Eastern Brown Froglet Crinia signifera with its persistent ‘crik-crik-crik’, then some Ornate Burrowing Frogs Limnodynastes ornatus join in with intermittent ‘unk’ calls. Then Green Tree Frogs Litoria caerulea, with ‘crawk-crawk-crawk’. 23 degrees C, 60% humidity, 4 Feb 2012, 3/4 moon, part overcast, 10:45 pm DST. SD702 recorder, 2 x MKH 8020 mics in DIY closed-cell foam SASS rig. 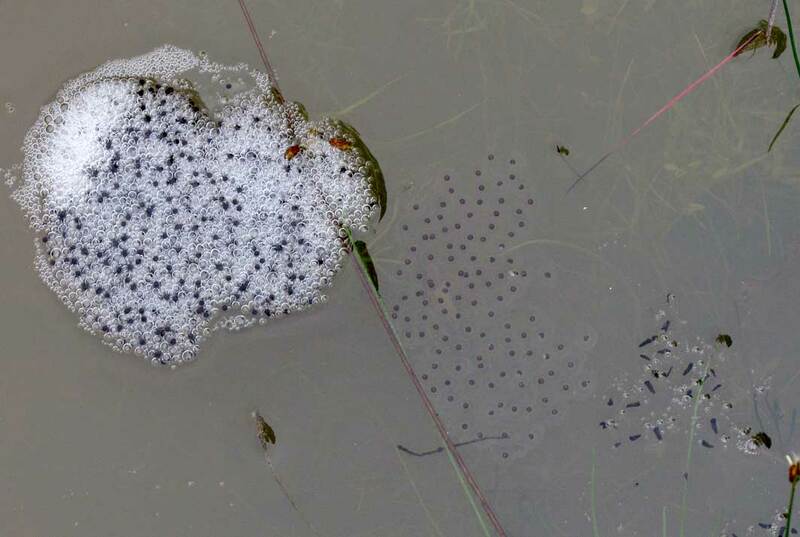 I returned to this site the following night but there were no frogs calling at all, just a lot of frogs’ eggs in the water. The Burrowing Frogs in particular are very opportunistic breeders and only appear briefly, after lots of heavy rain. AUDIO: MKH8020s in DIY foam SASS to SD702, frogs, 4:14 minutes, no filtering or EQ. 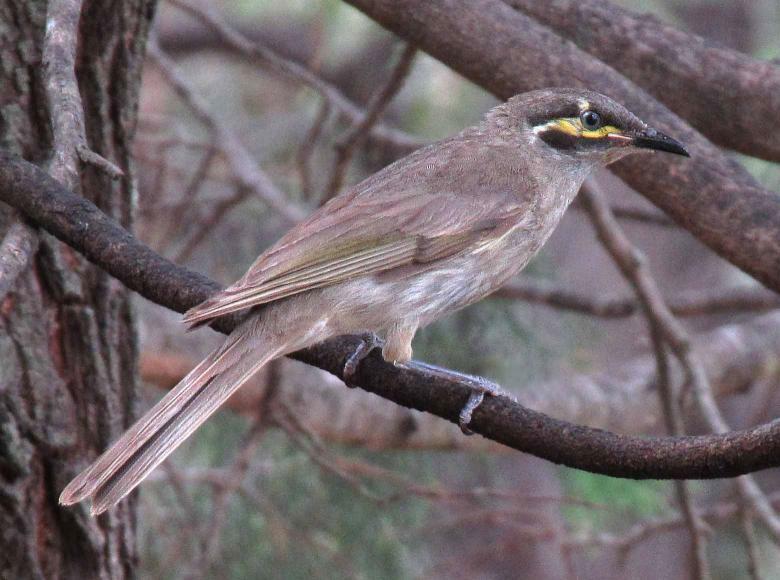 Gentle sounds heard pre-dawn on a summer’s morning in dry woodland habitat, Capertee Valley, NSW Australia. Yellow-faced Honeyeaters predominate, also heard are Superb Fairywrens, Noisy Friarbirds, Laughing Kookaburras, Eastern Yellow Robin, Rufous Whistlers, distant Barking Owl, a wallaby hopping past, plus some crickets chirping. Recorded with two Audio Technica 4022 mics mounted in a home-built closed-cell foam SASS for binaural-like effect. Sound Devices 702, no filtering or EQ. Date: 8 January, 2012. AUDIO: AT4022s in DIY foam SASS to SD702, honeyeaters, 4:59 minutes, no filtering or EQ. 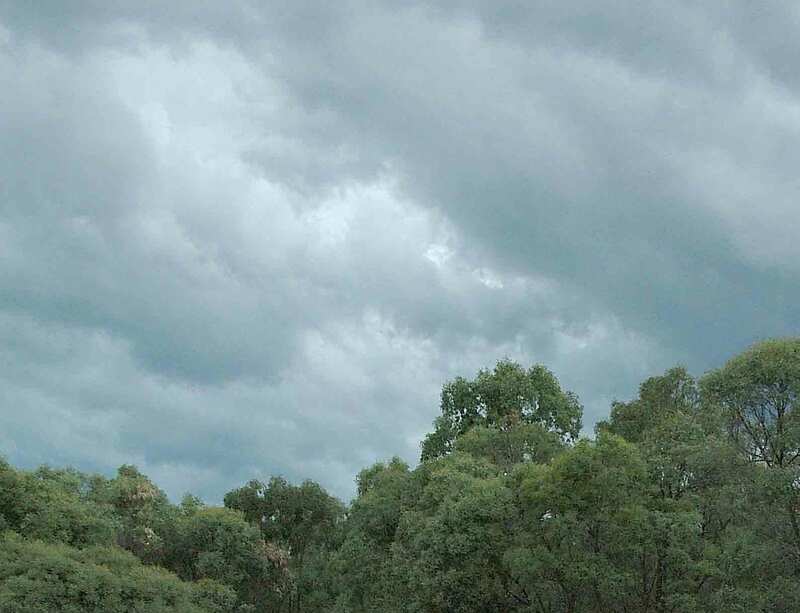 A roll of thunder growls directly overhead, recorded with two Audio Technica 4022s mounted in a DIY closed-cell foam SASS to a Sound Devices 702 recorder, 20 January 2012, 6.38 p.m. DST in Capertee Valley, NSW, Australia. The storm veered away to the east fortunately, as it was soon to dump lots of hail. 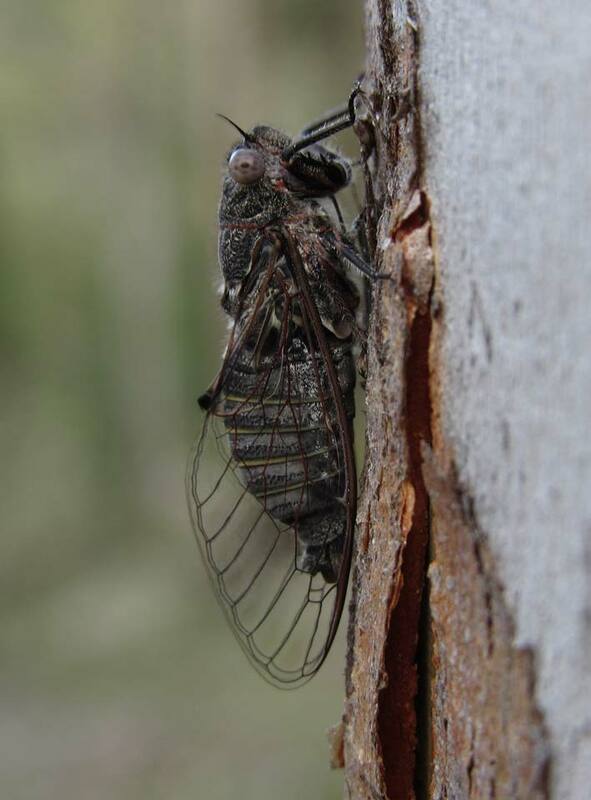 Small cicadas are buzzing, a few birds are chirping, it is warm and humid and a wet summer generally. AUDIO: AT4022s in DIY foam SASS to SD702, thunder, 1:32 minutes, no filtering or EQ. Distant thunder rolls in the background while cicadas make a racket in the summer sunshine. Redeyes (Psaltoda moerens) give buzzing & yodelling calls and Southern Black Squeakers (Pauropsalta encaustica sp.) give persistent dee-dee-dit calls. The storms brought heavy hail to areas 60 km to the south. Capertee Valley, NSW, Australia, 13 February 2012, 3.54 pm, 27 degrees C, 26% humidity, dry woodland habitat. MKH8020s in DIY SASS to Sound Devices 702 recorder, volume 57.2. AUDIO: MKH8020s in DIY foam SASS to SD702, insects/thunder, 2:26 minutes, no filtering or EQ. This page was created in 2011 and upgraded 2 June 2017.